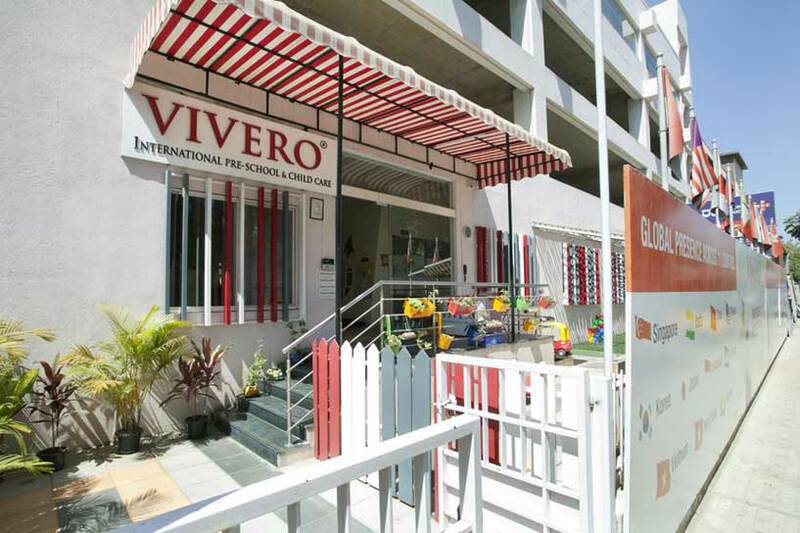 Vivero International Preschool & Child Care are at Mahadevapura is spread over 7000 sq.ft. and offers comprehensive educational as well as childcare programmes for children of 6 months to 10 years. 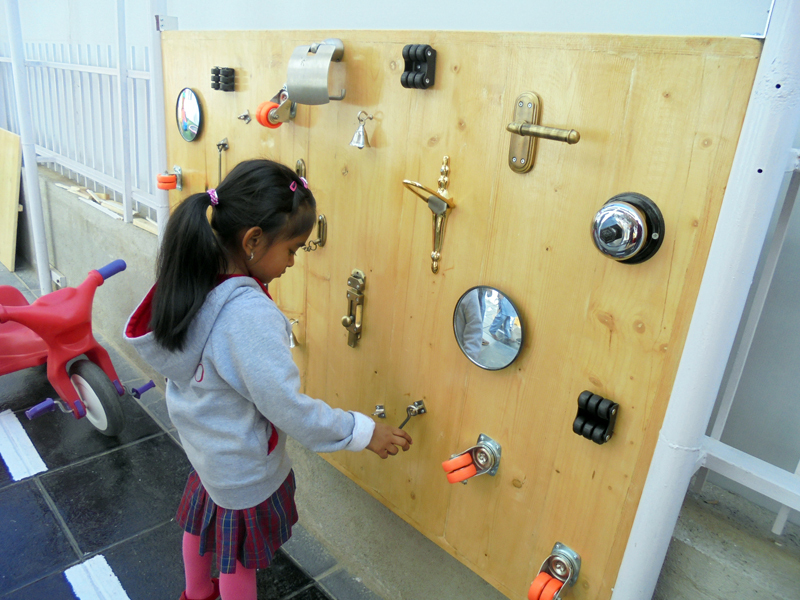 At Vivero, we follow an Inquiry based approach, inspired by the Reggio Emilia philosophy. Vivero works in a joint venture with Singapore’s Eton House, with a keen focus on having a child friendly, safe and hygienic environment. Our niche programme offering is a perfect blend of excellent quality pre schooling from Pre Nursery to Kindergarten and exceptional child care services from infant to after school. We offer an exclusive programme for Infant Care from 6 months onwards to help young mothers get back to their career. The infants are taken care of by a qualified and experienced nurse who also doubles up as the school nurse. Besides our regular preschool programme offerings, we have an After School programme to care for children who spend time with us after they finish the day at main stream schools. This programme includes extra curricular activities such as foreign language classes, performing arts and physical education classes. Our school has a tech studio complete with iPads for young learners, set up in association with Apple to introduce technology aided learning to children. 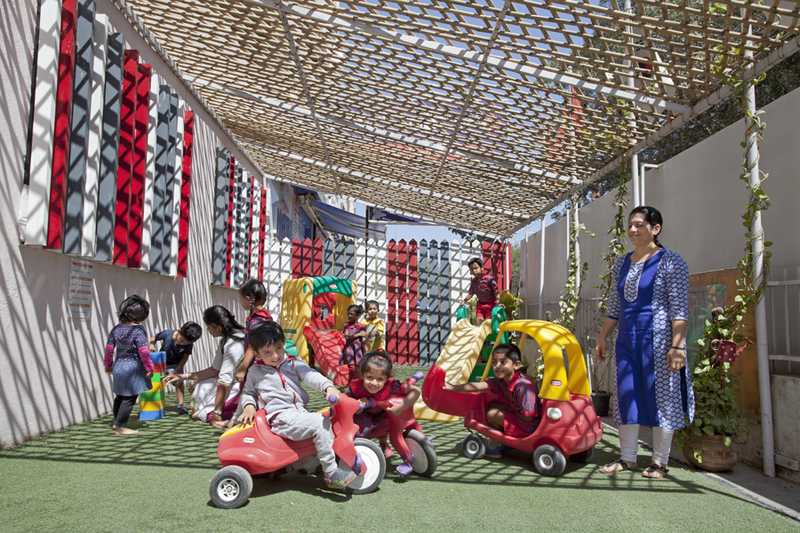 The outdoor space has an open play area, sand boxes, green walls, a traffic park and busy board to pique the curiosity and interests of the child. The school has many zones set up for children to explore and learn science, technology, engineering, literacy and numeracy. A puppet theatre, performing arts studio and a pretend play corner are all part of the set up. 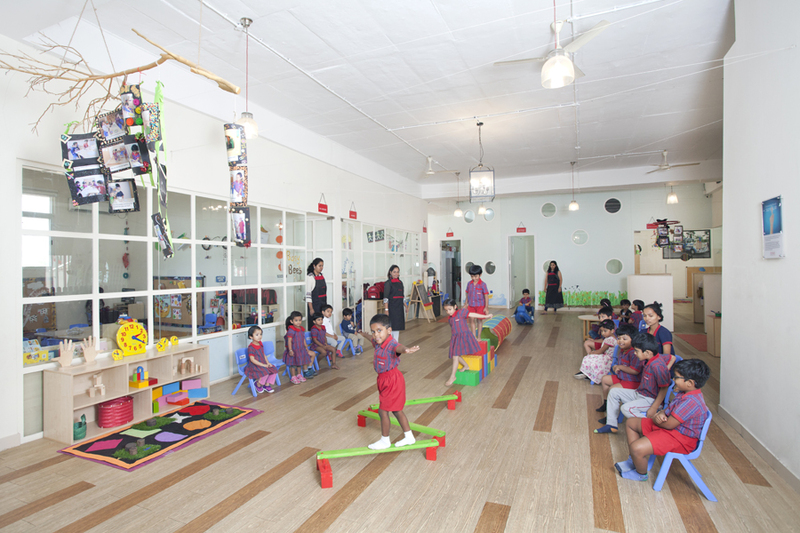 The school has different learning corners set up in the various ateliers to facilitate experiential learning through the entire expanse of the space. We maintain high standards of health and hygiene - 24 hour security, CCTV monitors in all areas of school, daily temperature checks, child friendly furniture and resources are a few measures that are strictly followed. We provide hot and tasty meals cooked fresh at the school premises. The menu is carefully planned to offer a well balanced meal for the children in an hygienic environment. We maintain ideal adult child ratio to ensure proper attention to all children. Our team is committed towards care and development of the child and in fostering a safe, creative and exciting environment. 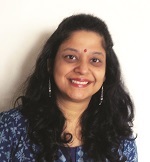 Shampa Goswami is a passionate educational professional with over 10 years’ experience in both India and USA. Her teaching career spans a very wide spectrum from kindergarten to high school, from NGO funded schools for under privileged children to the top international school in Bangalore. She holds a Bachelor of Science degree from California State University, USA, as well as a certificate in early childhood development. During her career, Shampa has pioneered the concept of child centric learning and firmly believes that every child has the potential to blossom in their own unique way. 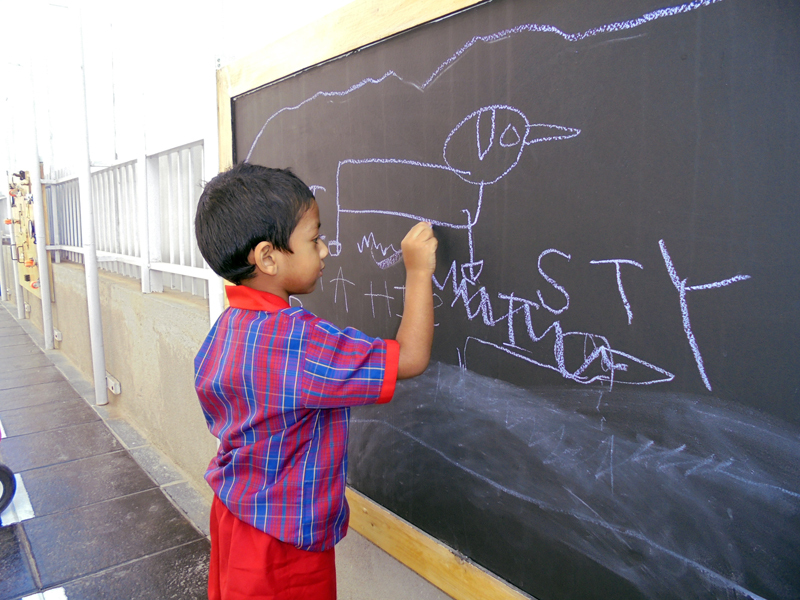 She brings to the school a holistic view of learning which is crucial for early childhood development.